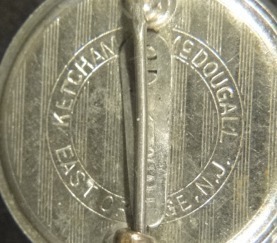 Primarily a watchmaker, patented several souvenir spoon designs in 1891. Succeeded by J. Karr's Sons. Was a partner in the firm of T. & W. Keith. Continued after 1861 as the president of the American Watch Co. until 1866. A partner in the firms of E. & J. Kelley with his step brother Edward G. Kelley c. 1840; Kelley & Bro. with brother Zeno Kelley 1856-1878; and J.S. Kelley & Son with William B. Kelley 1878-1895. Silversmith, jeweler and chronometer maker. Born 1810 Death 1880. Was in the partnerships of Kendrik & Harris with John C. Harris in 1831; Lemon & Kendrick with James I. Lemon 1831-1841; and Kendrick & Son with William C. Kendrick 1873-1880. Upon William Kendrick's death in 1880, his other son, George P. Kendrick, joined with William C. Kendrick and continued the business as jewelers under the name William Kendrick's Sons which closed temporarily in 1930 due to the Great Depression. It reopened in 1932 as Wm. Kendrick Jewelers and was purchased by Gray & Merkley Jewelers in 1966, renaming it at that time to Merkley Kendrick Jewelers. It is still in business today. Most likely, any silver with the Kendrick mark made after 1840 was not actually made by Kendrick, but rather retailed by him. Founded by Lewis E. Ellmore and Michael C. Fina. 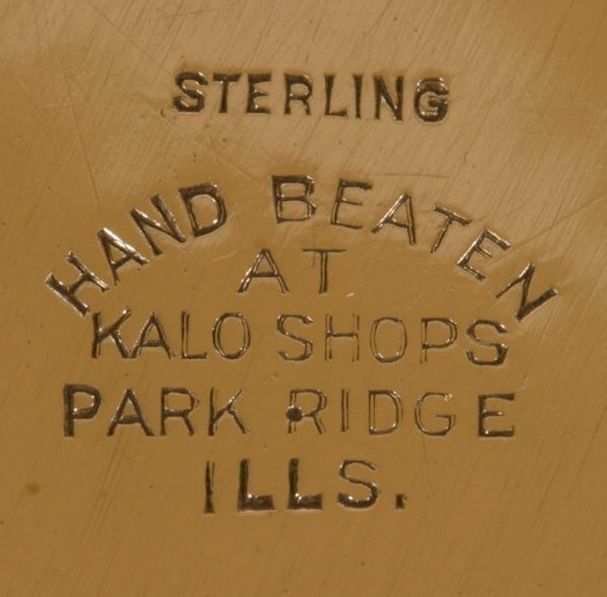 Makers and importers of primarily silverplate holloware, some sterling. Art Nouveau jewelry, holloware, novelties, and vanity items. Purchased by Gorham in 1906. Successor to Ketcham Bros. & Co., with roots going back to 1832. 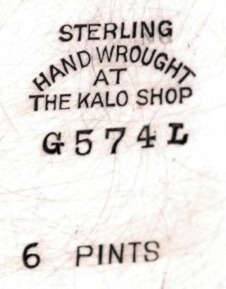 Ceased silver manufacturing in the 1932. Well known for their thimbles and gold and silver mounts for canes and various articles. The company now produces precision optical and marine equipment. In the partnerships of Ketcham & White in 1809 and Ketcham & Hitchcock 1817-1822. In the partnerships of Keyes & Fitch with William Fitch 1830-1831 and Keyes & Stocking with Reuben Stocking in 1831. In the partnerships of Kimball & Gould with Charles E. Gould 1857-1870, L. Kimball & Co. 1870-1890, and L. Kimball & Son 1871-1898. Was a partner in the firm of N. Harding & Co. 1851-1863 and Kimball & Restarrick with Thomas C. Restarrick in 1884. Silversmith and jeweler. Was in the partnership of King & Bro. 1856-1864. Would later go on and become a well known optician, founding the Julius King Optical Co. in New York, NY. Born 1792 Death 1855. In the firm of King & Son with son Ashbel King c. 1850-1855. Silversmith and watchmaker. 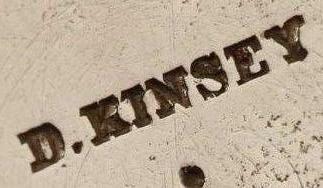 In the partnership of E. & D. Kinsey with his brother Edward Kinsey 1844-1861. In the partnership between Louis A. Kinsey (David Kinsey's son) and \John B. Callahan. In the partnerships of Scovil & Kinsey with Pulaski Scovil in Cincinnati c. 1834-1836 and later E. & D. Kinsey in Cincinnati 1844-1861.